RestEcg is a real-time 12 lead ECG monitoring and resting ECG software that can be easily integrated with your ECG acquisition device, thanks to its open interface. How can I integrate it with my existing ECG acquisition device ? 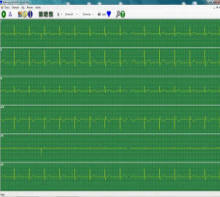 Download the Software Developer's Guide to RestEcg (pdf) document. What software tools do I need for integration ? Microsoft Visual Studio 2010 and Net Framework 4.0 required for sample projects .